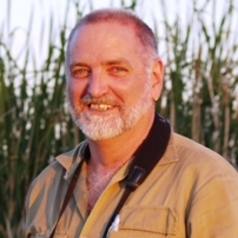 Prof Max Finlayson is an internationally renowned wetland ecologist with extensive experience in Australia and internationally in water pollution, mining and agricultural impacts, invasive species, climate change, and human wellbeing and wetlands. He has participated in global assessments such as those conducted by the Intergovernmental Panel for Climate Change, the Millennium Ecosystem Assessment, and the Global Environment Outlook. Since the early 1990s he has been a technical advisor to the Ramsar Convention on Wetlands and has written extensively on wetland ecology and management. Current research interests include wetland and river management, planning and policies; community and indigenous peoples’ involvement in wetland and river management; integration of social, economic and ecologic research; trade-offs among wetland users and uses; water availability and climate change; and wetland ecosystem services.